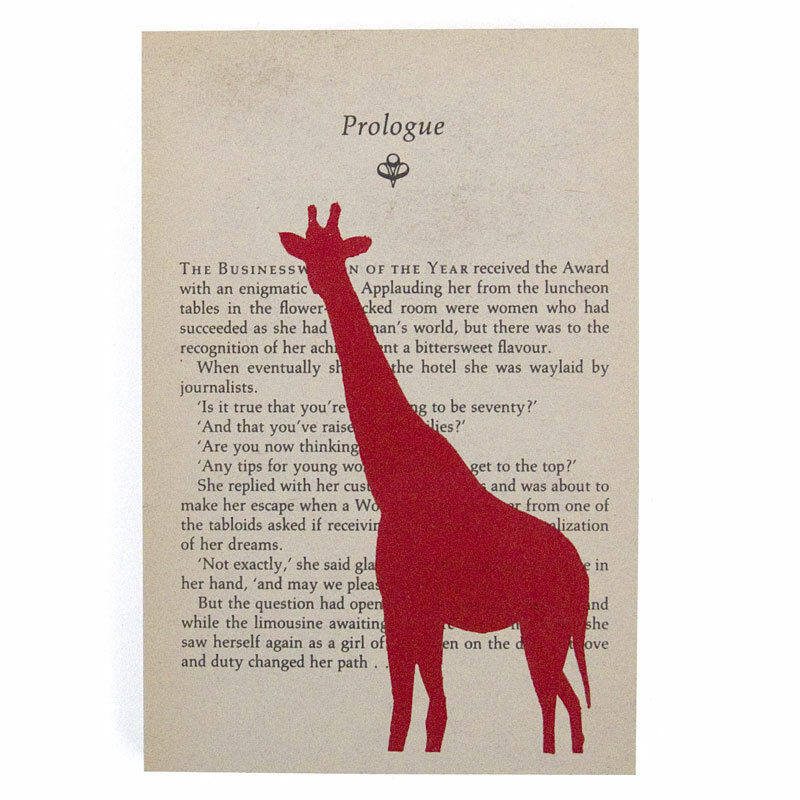 me and amber create unique artworks by screen printing their original designs directly onto pages from old books. No two are the same! 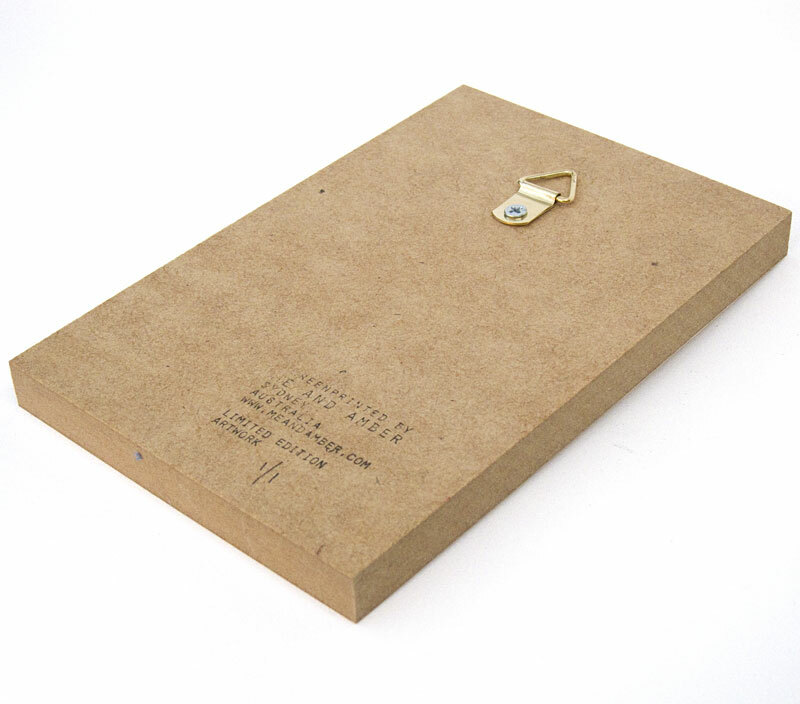 Each is stamped, limited edition 1/1 and block mounted onto wood with a picture hook on the back. Rectangular artworks measure 10x15cm. 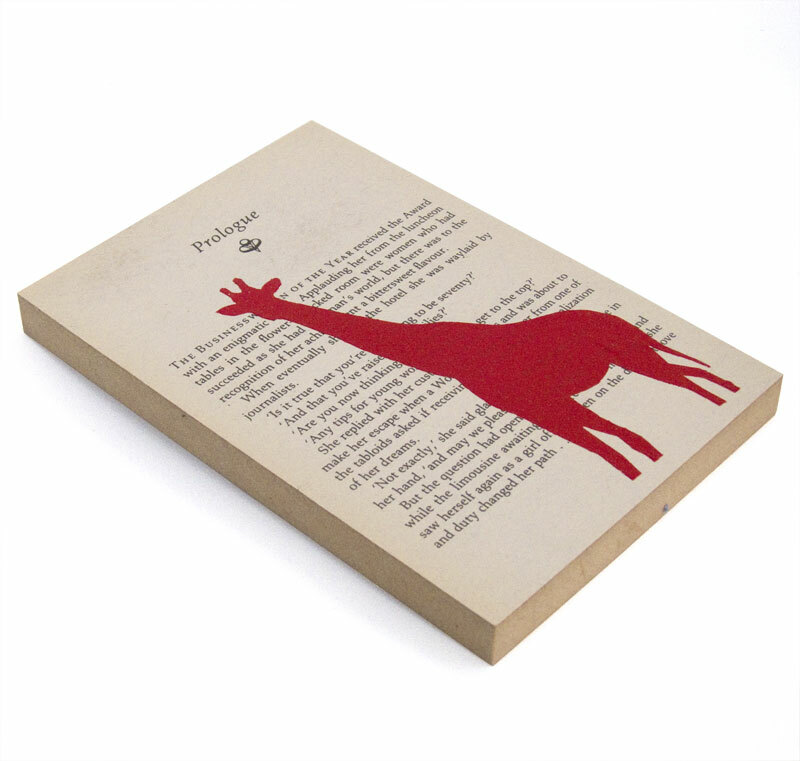 The red silhouette of a giraffe stands quietly in front of a body of text in a page from an old book. The title 'Prologue' and a small flourish sit neatly above his head a the top of the page. I wonder what the giraffe is thinking? Hang it in a group, on its own, rest it on a bookcase, wherever you have a little nook or bare wall that needs a little attention and love!